Micro mX Trixx, the slickest freestyle scooter in town! A favourite first scooter for small children is Micro Australia’s Mini Micro and then there’s the Micro Sprite, but where do you turn when your children want a scooter designed for stunts that can take a few tricks (and flicks!) on the skate ramp? Micro Australia has your back with their awesome mX Trixx – it’s serious bang for your buck and set to thrill the most daring mini daredevils. 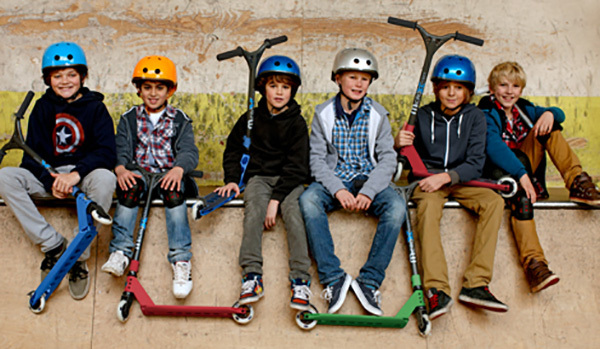 Designed for children aged five to twelve, the mX Trixx has some impressive specs under its aluminium deck including metal cone 100mm wheels, aluminium forks and a one piece lower set 77cm height handlebar – a perfect entry level freestyle scooter for younger riders. While the size is deemed best for kids, the weight limit withstands an impressive 100kg so mum or dad can even get on it and briefly strut their stuff. We’re a Micro Australia family through and through – my three children have given their various model scooters a proper flogging over the year. These scooters always stand up to serious play and being dropped on all surfaces, so I can confidently attest to their durability. 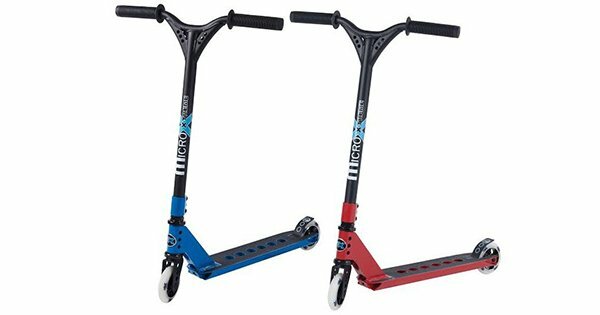 The mX Trixx freestyle scooter is priced $169.95 and available directly from Micro Australia – they’ll even deliver your scooter for free!